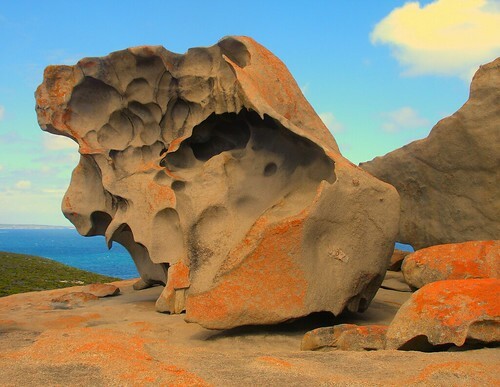 Flinders Chase National Park, Kangaroo Island, Australia has some amazing rock formations very aptly named 'Remarkable Rocks'. 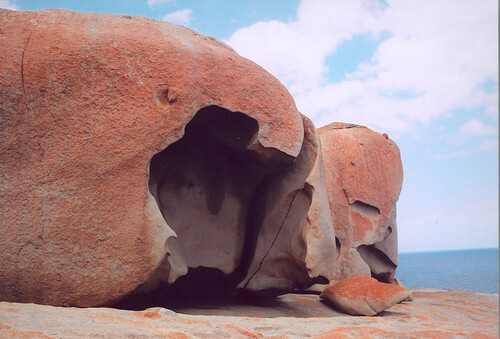 As per geologists about 500 million years ago these were once a giant granite monolith. 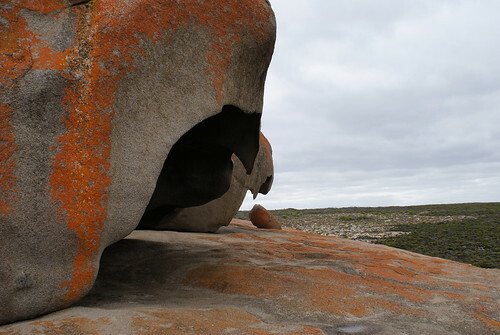 However the erosive forces of wind, sea spray and rain has produced this stunning work of weather-sculpted granite boulders perched on a granite dome towering 75 metres above the sea. 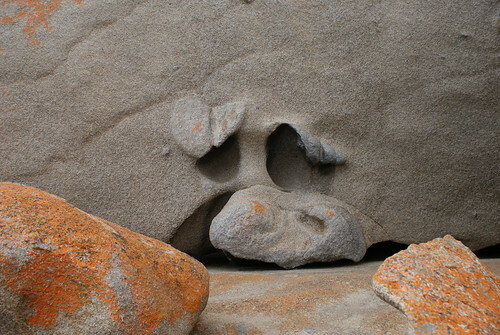 The orange coloured lichen covering on some of the rocks displays various hues of golden-orange at different times of the day. 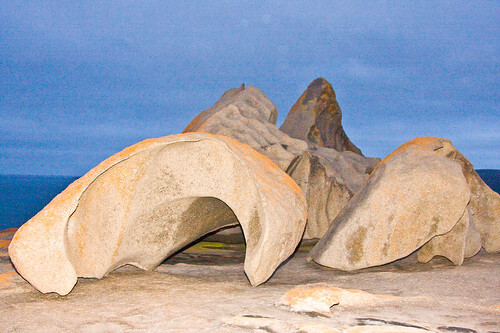 Another fantastic view at sunset on the lichen-covered 'Remarkable Rocks' can be seen at this web site.